Sometimes, you need a little helping hand in life. It’s good to have a bit of guidance in the form of a friendly diagram or a few words. These signs are surprising, funny, and clearly necessary in today’s world. You’ll wonder how you ever got through the day without them. We’ve all had an embarrassing moment with a door. The only thing that makes it more mortifying is blaming the door (and possibly shouting at it). 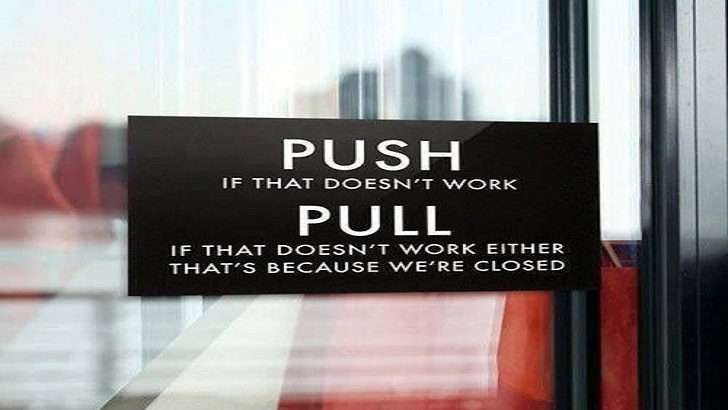 At least this door is a little more helpful than most.